We have chosen to minimise the information that we hold about you, and to make that information available to you within your MyFreeola account, and to store it securely and to delete it readily, and to gain your consent for non-essential marketing emails. However, basic transaction information must be retained under tax legislation, and it is also essential that we retain sufficient information to contact you if necessary, and to properly identify you before discussing your account with you. Freeola Limited sells a mix of services and products, which are often fully provided by us, but sometimes involve others. We therefore work to ensure that our suppliers are privacy compliant and we monitor their privacy policies and keep records of such monitoring. Unlike many other companies, we are not involved with buying, selling, mining, harvesting, gathering or collating any information about you. Product-specific privacy information and your email alerts and notification preferences can be found at the point of purchase or in your MyFreeola account. When you purchase services, register a domain, create a forum profile, enter a competition or set-up any of our free services, we will ask you to create a MyFreeola Account; where we will request information such as your name, address, email address and telephone number. You can access and modify all of this information from your MyFreeola Account. Contact information may also be collected to provide customer support (via email, phone, post or live chat). When you purchase any services or products from Freeola or Get Dotted; during the payment process we will securely pass you to a payment processing provider (such as SagePay or PayPal) before you submit credit or debit card information. We do not see or record this information, and therefore your payment information is more private and better protected. If you choose to pay via Direct Debit, your details are securely passed to First Capital Cashflow (FCC), a Direct Debit collection and management company. We do not keep or retain this information (and will take sufficient steps to destroy any physical form submissions). Basic transaction information must be retained under tax legislation; such as your IP address and billing address. Some details will also be shared with a third-party fraud screening service, for further details please see Section 3. You can sign into your MyFreeola account, with alternative Quick Login through social media (Facebook or Google+) or with PayPal or Amazon. The only information that Freeola takes from these third-party accounts is your username (which is often your email address). We do not request or obtain any further information from these services and nor do we share any of your personal information with them. We will not contact you via social media, retrieve information from your account or profile, or store or access your password. You can add or disconnect the Quick Login at any time via your MyFreeola account. When you register a domain, it is a requirement of ICANN (Internet Corporation for Assigned Names & Numbers) that you provide registrant details to the domain registry. These details include registrant name, registrant type (company or individual), registrant address and email address. These details can be updated via your MyFreeola account. This information will not be publicly available, but may be made available to law enforcement and other selected agencies upon a suitable request or the production of a court order. To process orders and payments for your services, and to manage your account. 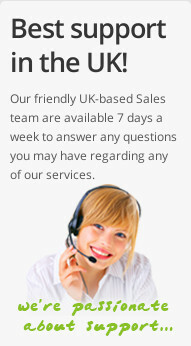 To provide customer support; for example answering questions regarding your services. This may be via email, post, live chat or telephone (telephone calls may be recorded). To ascertain that you have access to the account, are the account holder or domain registrant, so that we can properly identify you before discussing the account with you. To send you communications regarding any changes or issues affecting your services. We regularly run competitions and prize draws. If you enter any of these we may use the data you provide to fulfil the competition and records of the winners name and address may be stored for as long a required to comply with tax reporting legislation. To send alerts and reminders. For example, we may email you and send you a last-minute domain reminder in the post, as the domain expiry date approaches. Marketing: from time to time we may email you with updates (such as a monthly bulletin) and information on competitions and products that we feel may be of interest to you. 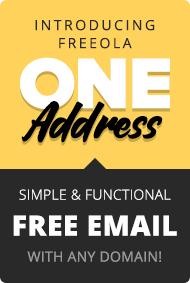 You can opt-out of marketing emails at any time, by either following the unsubscribe links in the email, or via the Email Alerts & Subscriptions section of your MyFreeola Control Panel. To collect visitor usage statistics, so we can see and understand how our site is used and, in turn, improve our sites and services. To register your domains, your name and contact details will be passed on the relevant domain registry (this information is required for you to be deemed the legal registrant of the domain). To prevent fraudulent transactions, your information (IP address, billing address, email) will be passed to a third-party fraud detection service during transactions. To collect basic transactional details (as required by tax legislation). We neither see nor record your payment information - this is handled by a payment processing provider. Freeola sells a mix of services and products, which are often fully provided by us, but will sometimes involve others. We therefore work to ensure that our suppliers are privacy compliant and we monitor their privacy policies and keep records of such monitoring. Product-specific privacy information can be found at the point of purchase and in your MyFreeola account. A third-party supplies Freeola Silent Line Rental and, as such, it may be necessary for us to provide some of your details to our supplier (such as your name, address and telephone number). We may share the relevant personal information with our supplier for Broadband internet services, including your name, address and telephone number. This information is necessary for them to supply the service to you on our behalf. To access our dial-up internet service, your telephone number and a record of the call duration will be logged by our supplier and by the phone network carrier. As part of the Domain Registration Agreement, registrants must provide accurate registrant information including the name (or company name), email address and postal address. We will then pass these details on to the relevant domain registry or registrar (who will pass this on to the registry). Not providing accurate details is a breach of the Domain Registration Agreement and can lead to termination of the Agreement (and subsequent loss of the domain). All information can be updated via your MyFreeola Account or by contacting Freeola (see Section 10). When you make a payment you are securely passed to a secure payment processing provider (such as PayPal or SagePay), who will take your information and authorise the payment. Direct Debit information is securely passed to First Capital Cashflow and we will not retain these details. Direct Debit details will also be passed electronically to your bank or building society. All payments go through a fraud check. Information such as your IP address, billing address and email address are passed on to MaxMind's minFraud service, which will check things such as the distance between the IP address and billing address as well as checking that the email address provided is not considered high-risk. The transaction will then receive a score, which will deem whether it is likely to be fraudulent. Upon purchasing ESET security software, you will be sent an email to download the software; your name and some other basic contact details may be requested. GeoTrust, Comodo or RapidSSL supply our SSL Certificates. When you purchase an SSL secure certificate, your contact information will be passed to the certificate issuer via our supplier. The SSL certificate issuer may need to verify this contact information and request confirmation and verification of your details. The level of verification is dependent on the certificate type that you choose. We use Google Analytics and Hotjar to collect website usage statistics. They gather information such as what operating system you are using and your IP address. 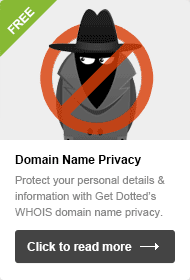 Your IP address will be anonymised before it reaches Google. Hotjar also anonymise your IP address, and do not store any personally identifiable information. We are not involved with buying, selling, mining, harvesting, gathering or collating any information. We do not pass your details on to third-parties for the use or intention of third-party marketing. In order to process your personal data/information, we will meet at least one of the following lawful bases, as set out by the GDPR (General Data Protection Regulation). When you create a MyFreeola Account and when you set up email addresses, we will ask you for your consent regarding marketing. You are able to expressly opt-in any email address to receive marketing updates. You can also withdraw your consent to receive marketing emails at any time, by changing your Alerts & Subscriptions settings in your MyFreeola Account, or by using the Unsubscribe link provided in all of our promotional email messages. We will process your personal information, when it is necessary to do so for us to deliver your services and thus fulfil the contract; for example, in order to supply broadband an address and telephone number is required. When considering your privacy, our own legitimate interests will also be taken into account alongside yours. For example when you receive a last minute domain reminder from us through the post, this is not just in your interest so that your domain doesn't expire accidentally, but it is also in our interest, as part of our business is to supply and renew domain names. 5. How do we protect your information and where do we store it? The password for your MyFreeola Account is encrypted, to prevent unauthorised access to your account. We also use a Secure Socket Layer (SSL) connection across our site, ensuring that any exchange of information between your computer and our site is encrypted. We will only share details or discuss the account with an individual once they have proved that they have access to the account (for example, via a PIN that can be generated in your MyFreeola Account). Information is stored on our own servers in the UK, in secure data centres where security and access to the site is strictly monitored. You can access all of your personal information via your MyFreeola Account, including your email preferences. You can update your details and manage your preferences (email consent) at any time from here. An extensive data request can be made. We may make a small charge for this service. Your information will be kept for as long as it is required by law, until we no longer have a valid reason for it or up until you request its deletion. It is a requirement that basic transactional information is retained for tax legislation purposes. Providing that your data is no longer needed for the purpose for which it was originally processed, you can request that we erase the data that we hold on you. If you have services with us, which require this data; we cannot erase this data whilst still fulfilling the service contract. If you do request that we delete your personal data, we must keep a record of the request for erasure. If the police or other law enforcement agencies request personal information, there may be circumstances where we, or our suppliers may be obliged to provide information.